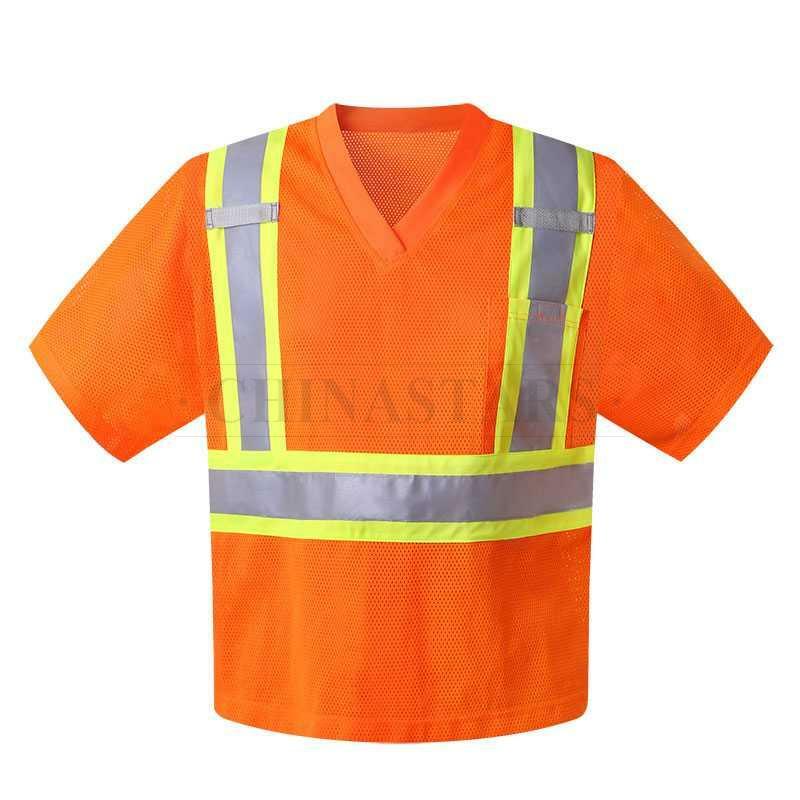 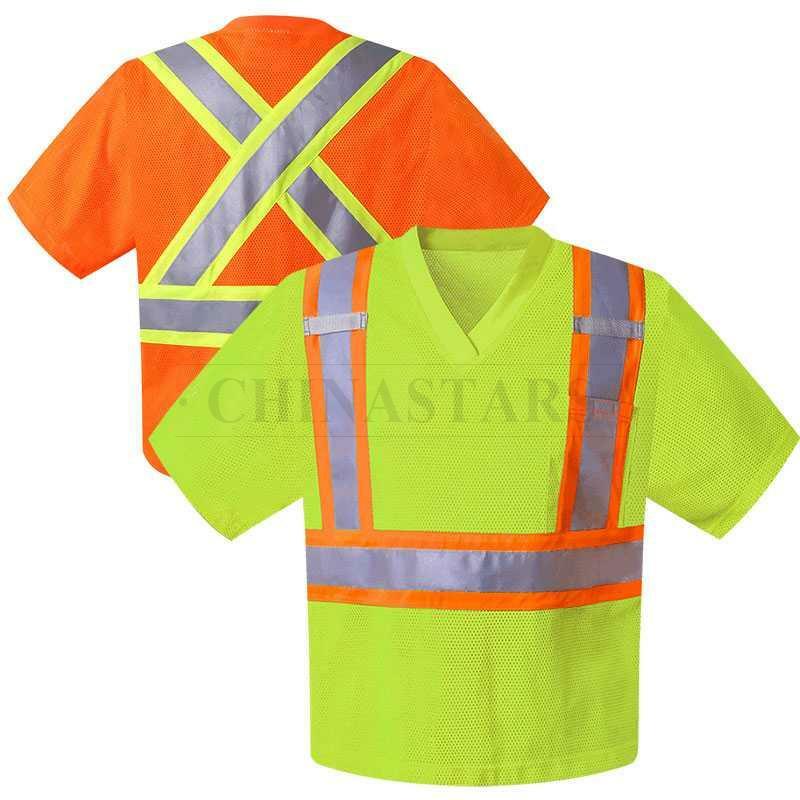 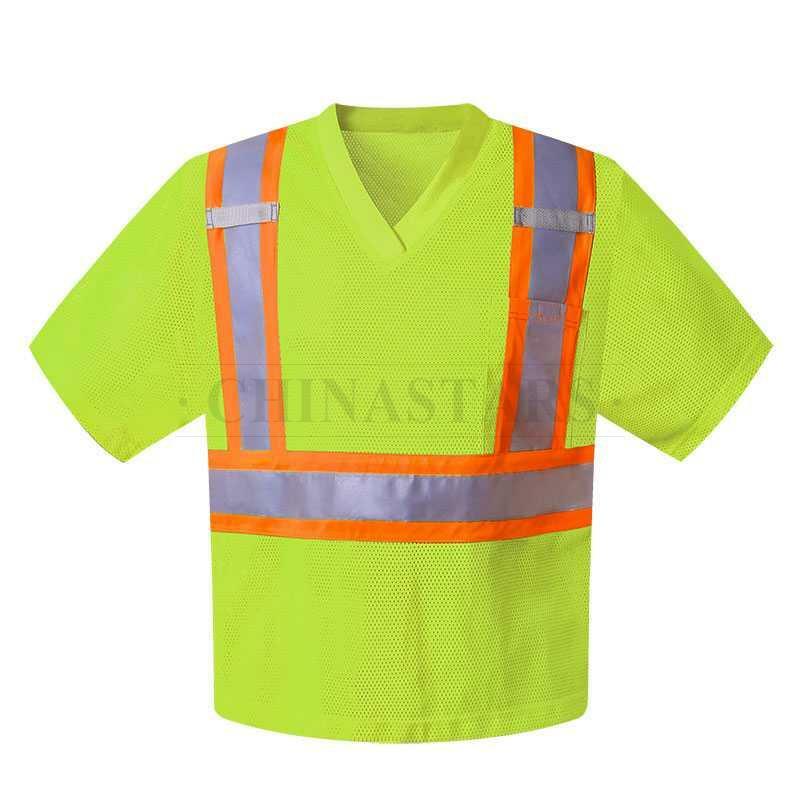 CSV-128 high visibility vest designed with short sleeves and v-neck, it is easy to take on and off. 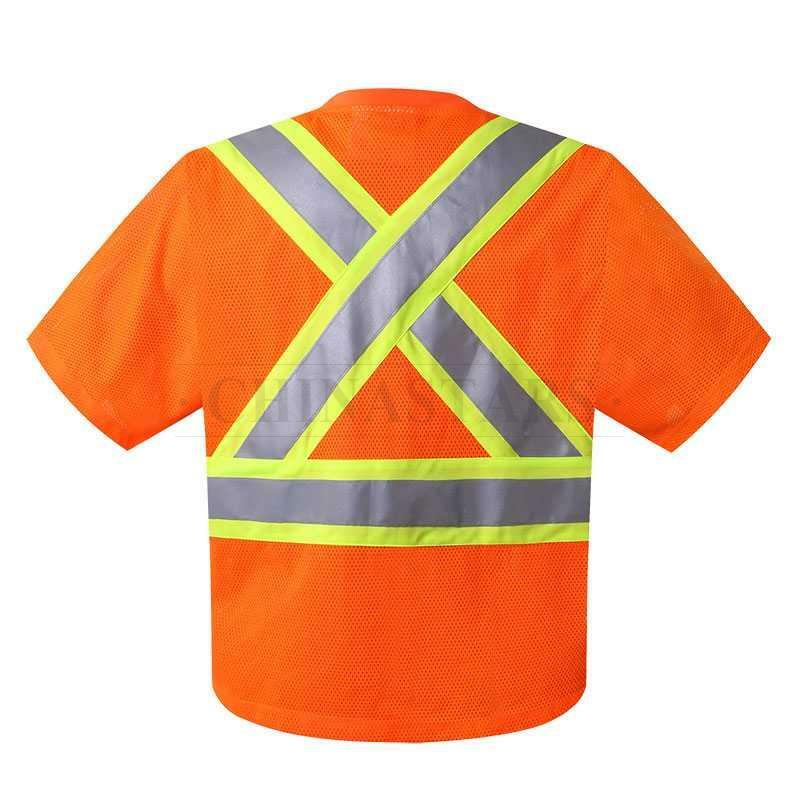 This vest designed with X back tape configuration, it provides directional indication to inform on-coming traffic. 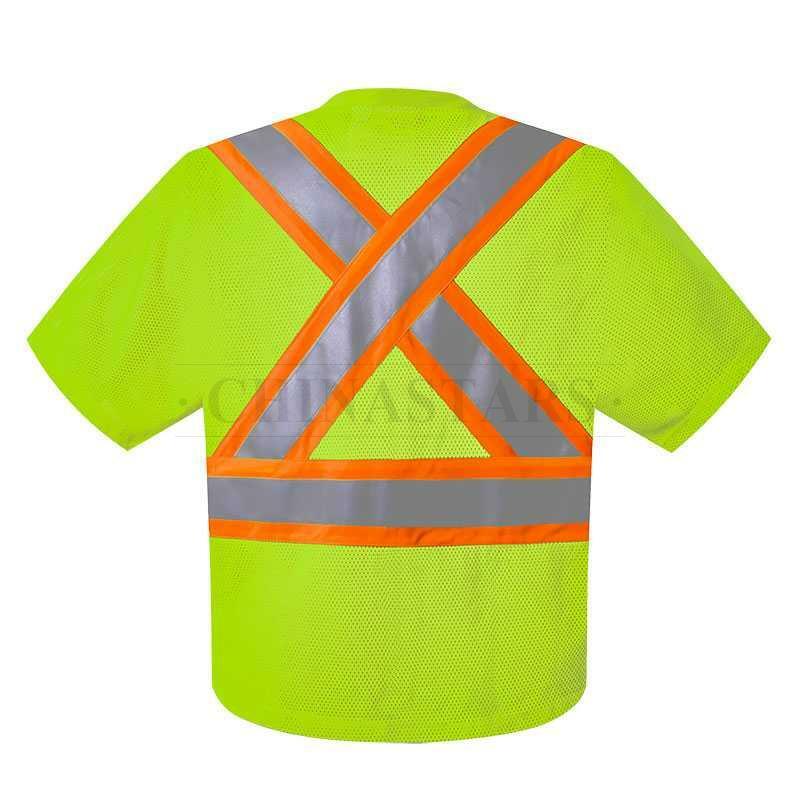 2" Silver reflective tapes are double-needle stitched onto 4" contrasting color tapes for high visibility. 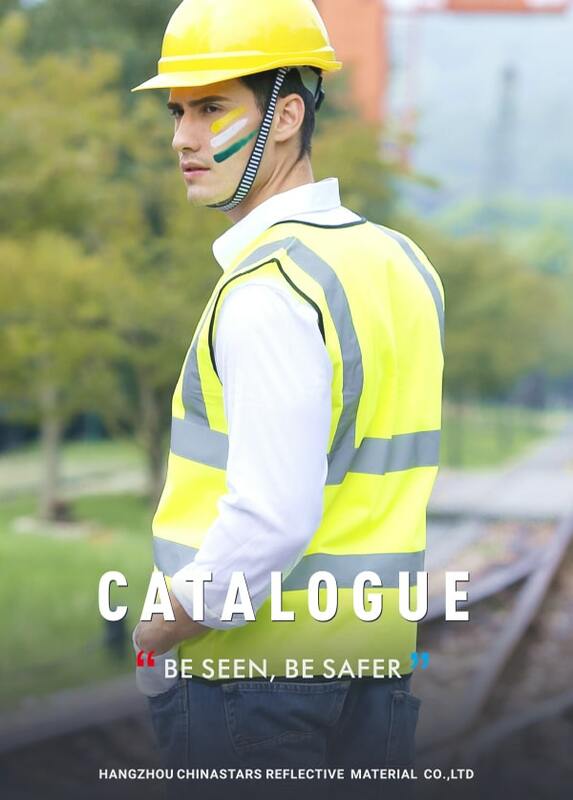 The stripes cover the whole body and provide 360°protection. 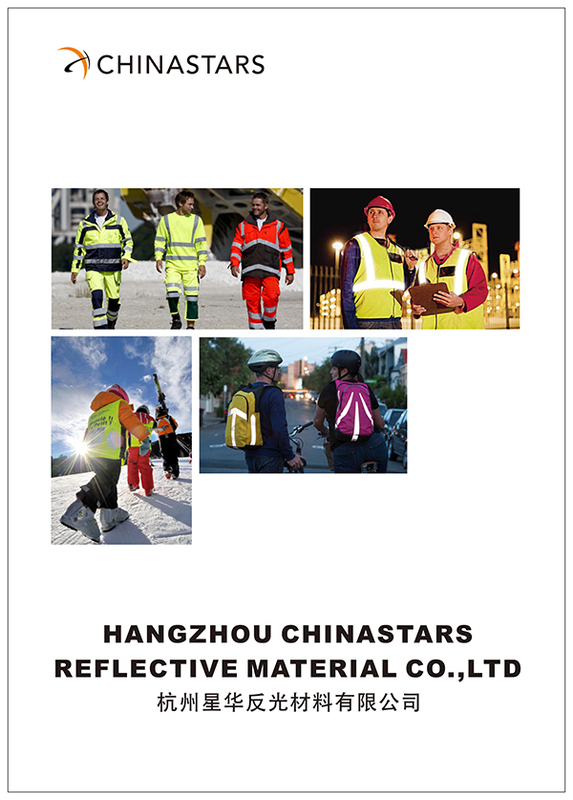 Logo imprint is available with different ways, just send us your artwork. 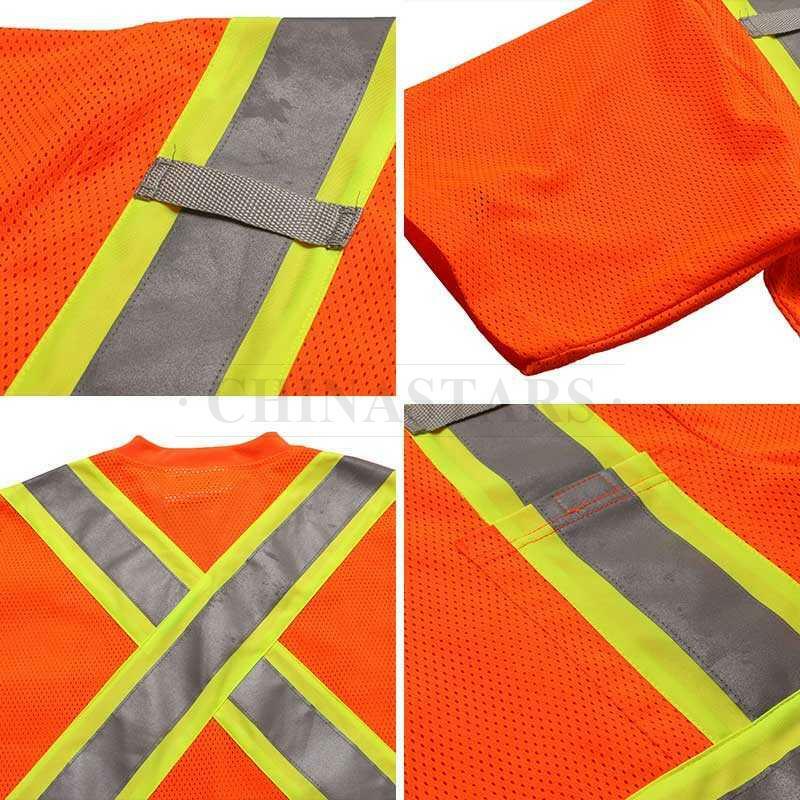 This mesh reflective shirt vest meets the requirements for CSA-Z96 Class 2 standard.